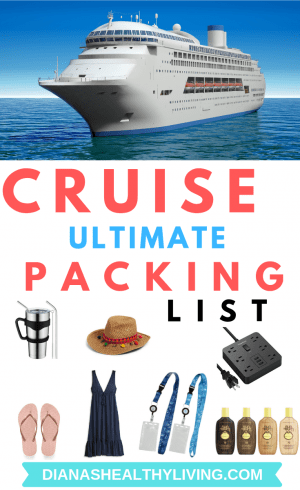 Being a first-time cruiser, I had no idea what to pack for my first cruise. 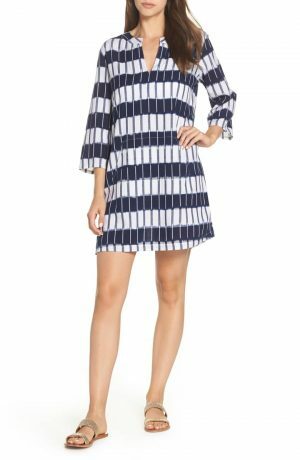 If you are heading out on a cruise, you will realize that you may want to pack some of these unique cruise essentials. Cruises are unique as you can’t run out to purchase these cruise essentials, or if you do it will likely be very expensive. These are just some things to bring on a cruise to make your trip more comfortable. I would recommend packing a cute pair of sneakers that you can pair up with shorts or a cute dress. If you plan on booking some excursions, a great pair of walking shoes is a must. 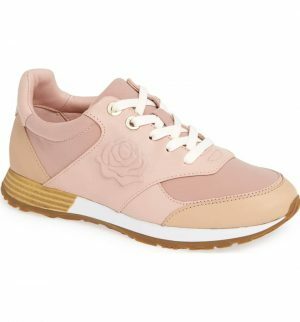 They can also double up as your workout shoes if you choose to work out during your vacation. No judgement if you don’t as I didn’t! No need for a suit and tie, unless that is your thing but I would recommend packing a fancier outfit you can wear out to dinner as most cruise lines have themed nights where you can dress up. These are not mandatory but it is always nice to dress up. Check with your cruise line before your trip to see if they have any specialty-themed nights such as white theme, etc. I know what you’re thinking, how many shoes can you possibly pack for a cruise! Well, easily a suitcase full but this shoe bag is not for your shoes. 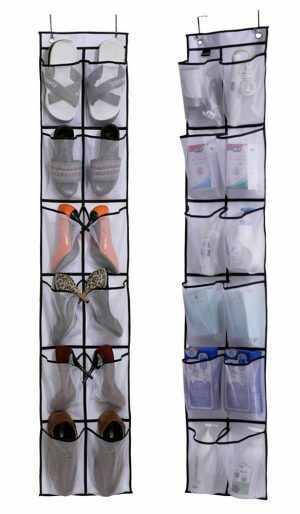 The rooms have limited space so these hanging shoe bags with clear pockets come in handy to put your hairbrush, phones, extra cords, sunblock, toiletries, etc. Because of the small rooms, the last thing you want to do is turn on the lights to make your way to the washroom. 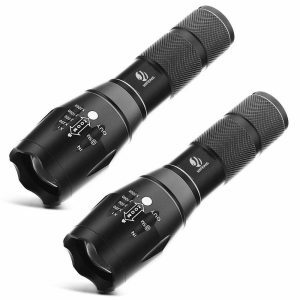 A small night light or flashlight will come in handy. 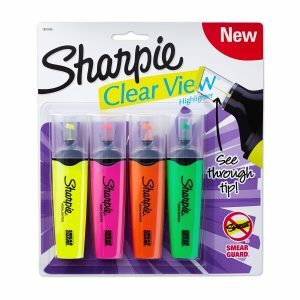 I know this sounds really random but it is really handy to have a highlighter to keep in your bag to highlight any of the activities you want to participate in on the ship. You likely won’t need it, but it’s always better to be safe than sorry. There is nothing worse than being sick on a cruise. 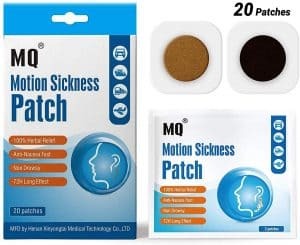 We made sure to pack different variations of motion sickness items. Luckily, we didn’t need them. Our foldable backpack came in handy for heading out on excursions to carry our water and personal items. It was also handy to carry items we bought while at the port. Although it may be hot outside the dining rooms tend to be a bit chilly. Travel wraps are great for flights as on an airplane and I can quickly throw it into my bag. 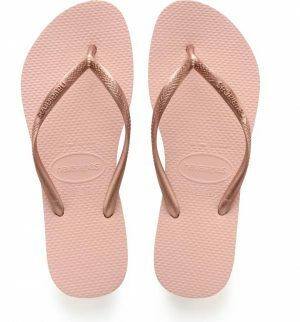 Flip Flops are great for sea days and lounging by the pool. Even if you don’t plan on lounging by the pool, I always like to have something on my feet in the room. One of the “problems” with cruises is the variety of clothes you need to pack. You’ve got your beachwear if heading somewhere tropical, day outing adventure excursion clothing and then, of course, you need dressy, if not even formal, attire! However, due to a lot of cruise line rules (fire codes! ), you are often hard-pressed to find an iron to get those wrinkles out of your poorly packed business casual clothes. Which is why a small bottle of wrinkle release spray is a life saver when cruising around! The best part is they are only a few bucks and can make all the difference in the look of your clothing. 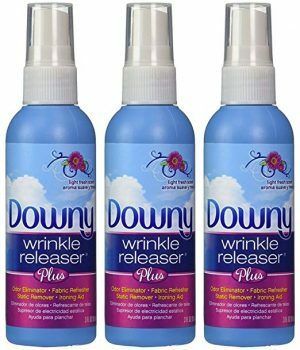 While the liquid won’t work absolute magic on the worst of wrinkles, it can help just enough to make sure you don’t look like a total wrinkled mess at tonight’s formal dinner on the boat! 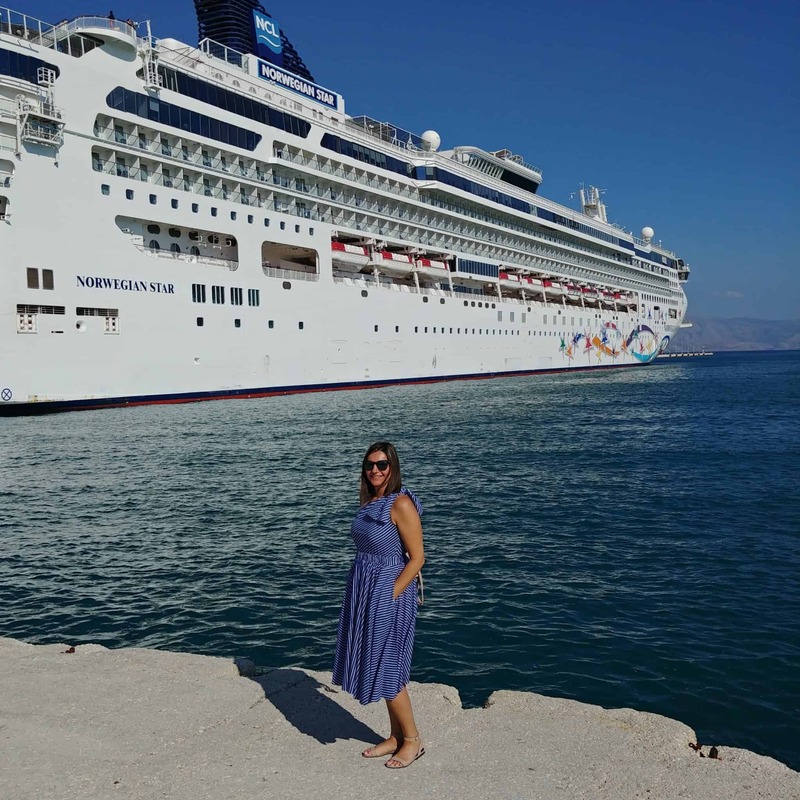 As a former purser who worked on cruise ships in the Caribbean for almost two years, the most important things that I always recommend taking on a cruise are sunscreen and aloe vera. Often the first day of a cruise is at sea, and relaxing by the pool is the perfect antidote to your pre-vacation stress. 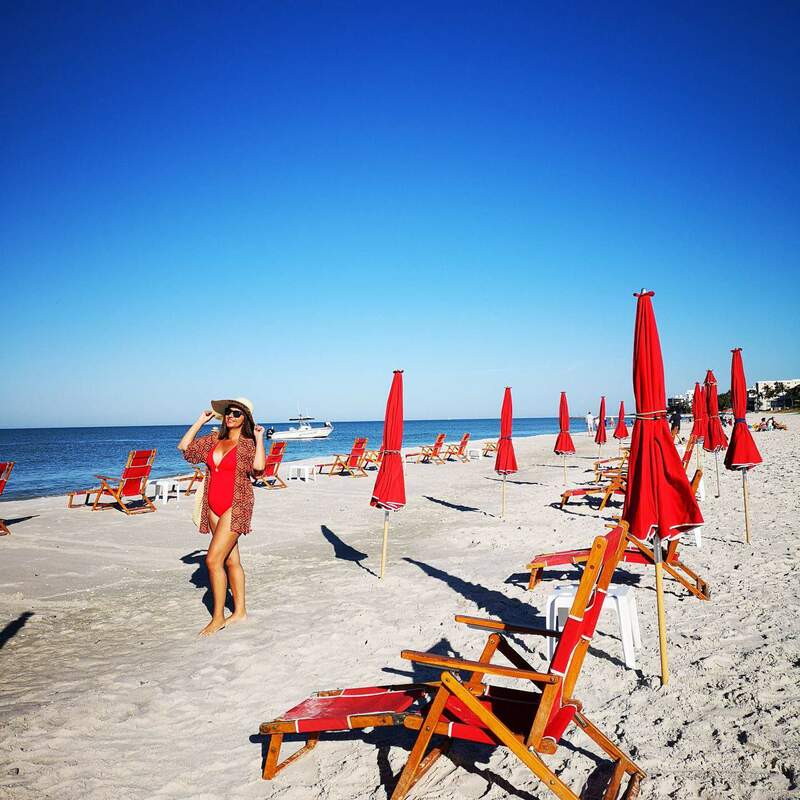 However, the Caribbean sun is strong and whether you are relaxing by the pool on board or going on one of the awesome shore excursions that are available, chances are you will spend a lot of time in the sun. Even if you are cruising Alaska or Antarctica, you will be outside in the sun. 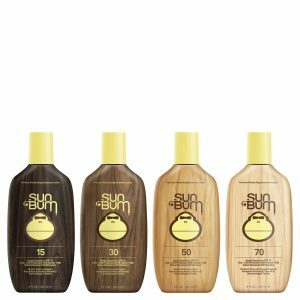 Adequate sun protection is essential and I always like to have a different sunscreen for my face, as well, so that my eyes don’t get sore and my skin is taken care of. Of course, prevention is better than a cure, but if you do get too much sun, aloe vera will help with repair your skin. You can buy these on board, but bringing your favourite brand with you is much better than being limited to the expensive and more limited selection available on board. When you are packing for a cruise a fan may not cross your mind as something you should pack, but we were very happy we decided to pack one on our first cruise this year. Since cruises do not have restriction how many bags you bring on to the ship, you have plenty of room to bring one in. Having a fan with you on a cruise will give you a little control over the temperature in the room and also creates some white noise. 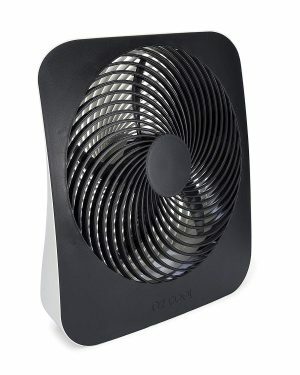 For light sleepers or people who like to sleep in the cold, a fan can make a big difference in helping you sleep well. We went with a small tabletop Honeywell fan that was easy to fit in our luggage. We also saw people with full-size box fans that they checked onto the cruise. If you are flying in and do not have luggage space for a fan, you can have it shipped to your hotel if you are staying the night before the cruise and just leave it behind after you use it. Our go-to item to pack for a cruise is our own snorkel gear set. Yes, you can rent snorkel gear from vendors in the different ports, but that can get to be expensive. And if you do one of the expensive ship-organized shore excursions, snorkel gear will be provided. However, if you own your own snorkel equipment, every port of call can be a chance to snorkel without the expensive excursions or tours. You can show up at any beach and have a great experience. Our decision to buy snorkel gear was primarily driven the unsanitary equipment we encountered on various snorkel excursions. The idea of putting something in your mouth that literally thousands of others have before is kind of repulsive. We take our own snorkel equipment on every one of our cruises. The most important thing you carry on a cruise is your Cruise Card. When you check in, you will get a card that’s tied to your credit card. This is your ID to get on and off the ship, and it’s used every time you want to buy something on the ship. Want a drink? Swipe the card. Need to pick up something at the shop? Swipe the card. Want to play bingo? Swipe the card. Get on the ship? Swipe the card. As a woman, I don’t always have pockets and I don’t always want to carry a bag around the ship. There’s no reason to carry other ID or cards, cash on the ship because of the Cruise Card. So a very handy accessory is a Cruise Card Holder and Lanyard. 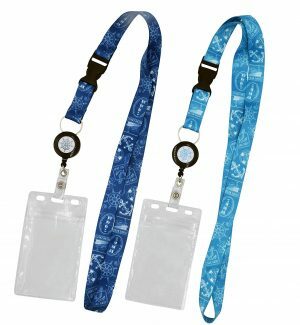 Not only is the card handy whenever you need it, but you can also put your lanyard on in the morning and forget it. If you are going into town, it’s easy to remove it and store it in your purse. will almost always be an opportunity to go swimming so you will need something to wear. If you are cruising around the islands during the summertime you will need a few different options as there will be endless opportunities to spend your days at the beach. And while you are not out exploring, there will be endless opportunities to relax and soak up the sun on deck around the pool. If you want to tan, you might want to bring a small bikini, but if you plan on doing any water sports, you may want to opt for something more sporty. Heading on a Winter cruise? You will still need swimwear. Ok, you may not be spending your days on the beach, however, most cruises will have a spa or jacuzzi and you will kick yourself if you don’t have swimwear with you! My “must pack” item for a cruise is my Kindle. I don’t travel without this, regardless of whether or not I’m going on a cruise, but I find cruises are particularly apt for relaxing and getting some good reading done. This is definitely true if you have a couple of days at sea, but even on shorter and busier cruises, it’s still possible to grab a couple of hours of reading time here and there. 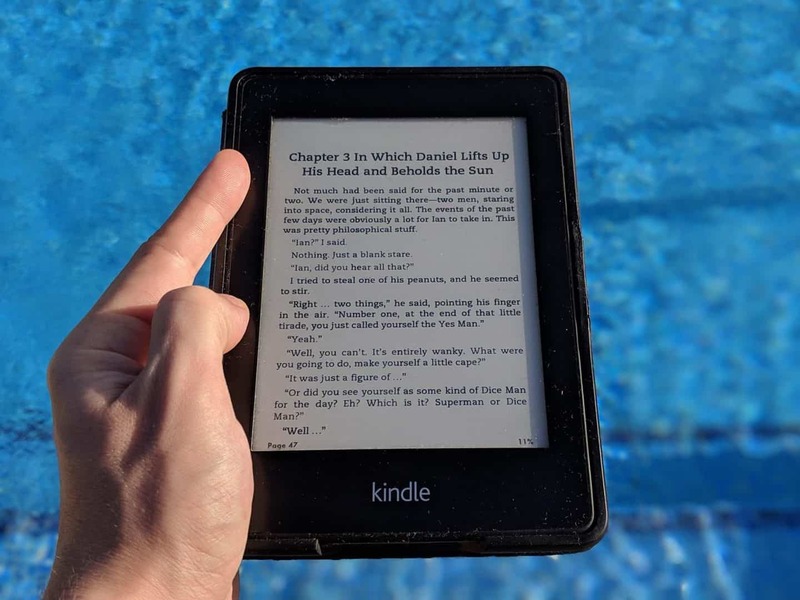 As well as a place to read fiction, the Kindle also doubles up as a guidebook or library of guidebooks as most guidebooks from companies like Lonely Planet and Rough Guides come in the eBook form as well. It’s also a little less conspicuous than a physical guidebook, and having to only carry the Kindle saves a lot of room in my suitcase. Of course, sometimes the best information, from cruise port guides to lists of what to eat in a destination, isn’t in the guidebooks but on travel blogs and websites like Wikitravel. Again, the Kindle comes in handy here: simply add a Chrome extension like ‘Push to Kindle’ to your browser and you’ll be able to download any useful articles you find and read them offline on your Kindle. Planning on laying out by a pool while on a cruise? The winds whipping about on the decks lead to a constant battle with the towel. 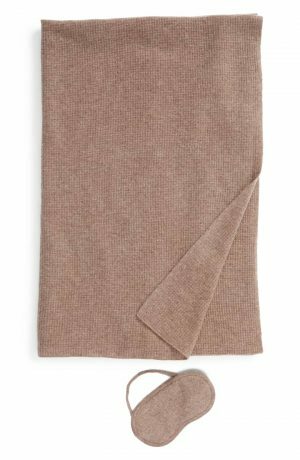 Whether you’re lounging on the chairs or getting up for a drink or quick dip, your towel will not stay in place. Solution? Bring beach towel clips with you! Assign a colour to each family member as they come in pairs. 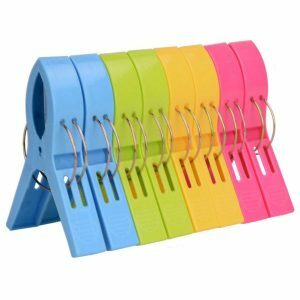 The best part is that these beach towel clips are just as useful when you take a shore excursion to that beautiful beach. We used them during our Southern Caribbean cruise where we enjoyed them on some very windy beaches. The clips open wide enough that they can be used in your cabin to hang up items over closet or bathroom doors. If you’ve got little ones, placing these clips at the top of the bathroom door will prevent little fingers from getting accidentally slammed by the door. The best kind of cruise is somewhere warm and tropical, with ports in glamorous beach locations. The Caribbean, Mediterranean and South Pacific are perfect destinations for a blissfully relaxing holiday. You don’t need to pack much for a cruise like this. A few swimsuits, sandals, dresses for dinner and sunscreen. But the one essential that you must pack is a cover-up or two. Taking a cover-up means being able to wear your swimsuit to get a coffee or breakfast in the morning. There’s no fussing with changing clothes. Stay in your swimsuit all day if you like, enjoying the pools, hot spas and sun lounges onboard. If you’re going on a boat trip or to a beach at a port stop, then a swimsuit and cover-up is all you need. True relaxation is when you can leave your cruise ship cabin in the morning with a beach bag, head straight to the beach to swim, snorkel or sunbathe and just throw your cover-up back on at the end of the day to return to the ship. One thing I quickly noted cabins on cruise ships don’t have: plenty of outlets. There’s typically only ONE outlet in the whole cabin outside of the bathroom. That one outlet is usually located on the desk area across the room from the bed. While this is fabulous for when you’re drying your hair, it’s awful if you want to use your phone or computer in the bed and charge them at the same time. Also, what if you need to plug in that hair dryer, phone and computer all at the same time? One outlet doesn’t cut it. 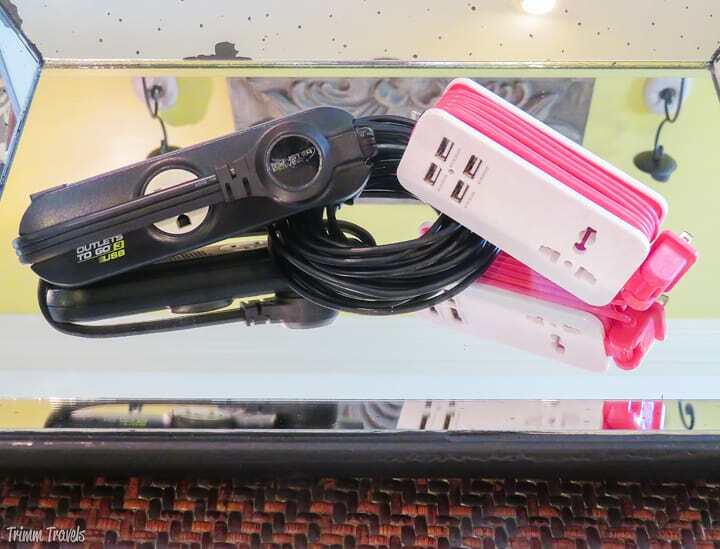 I now do not cruise without my travel power strip and my 10-foot phone charger cord. The two go hand-in-hand. I immediately plug the power strip into the outlet which then gives me 3 additional plugs and 1 USB port (or 1 plug, 4 USB ports, and a 5-ft extension cord depending on which one I pack). Next, I plug my 10-ft charger cord into the USB port and then I am able to have the use of my phone while in the bed. I surf the internet while winding down, turn on my white noise app to sleep and turn off the alarm the next morning all from the bed. Problem solved! Most cruise ships have eliminated straws as they usually end up in the ocean. They have made a great choice but it can make drinking those slushy cocktails a little difficult. 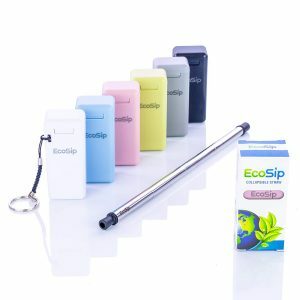 These collapsible straws are great as they collapse into their own case. 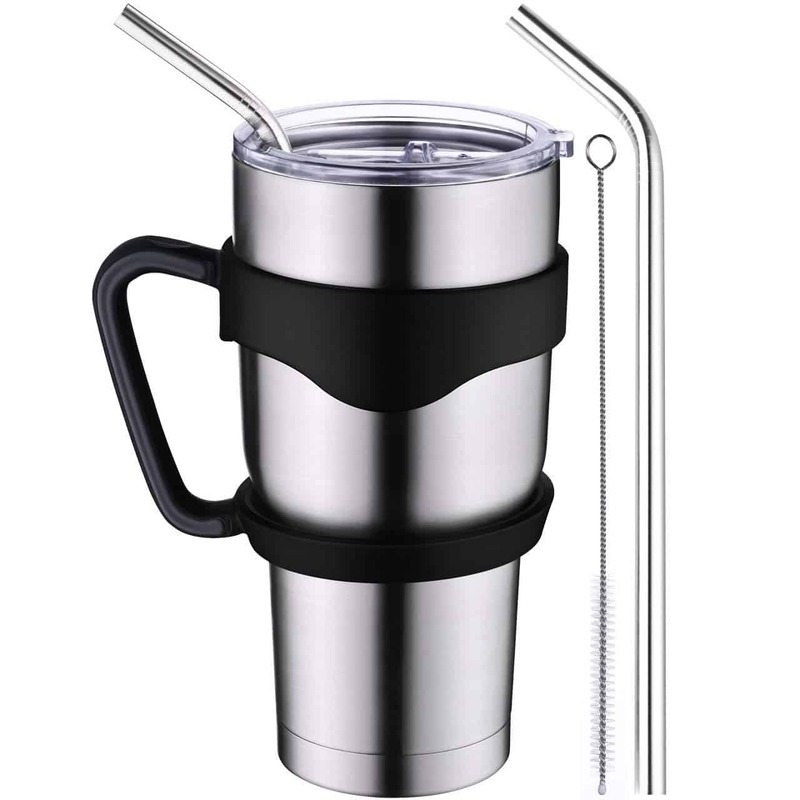 Sure, you can use this to walk around drinking coffee or tea all day but this insulated coffee tumbler is great as it doubles up as a beer or cocktail mug to keep your cocktails cold throughout the day. Do you have some cruise packing tips? Please share them in the comments. Sneakers are a definite must to move around the boat comfortably Diana. Flip flops are OK here and there but taking care of tootsies is important too. Def keep motion sickness pills handy as well. sneakers are great, especially for day trips. Flip flops are great for lounging around.